Amazon has finally revealed how “Transparent” will address the firing of its star Jeffrey Tambor. 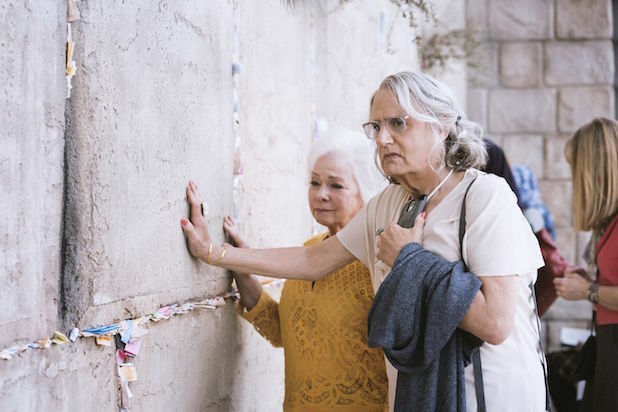 The upcoming series finale, which will be a movie musical titled “Transparent Musical Finale,” will begin with the death of Tambor’s Maura Pfefferman, and focus on how the rest of the Pfefferman family deals with the loss. It will stream on Amazon sometime this fall. During the Television Critics Association Winter Press Tour in February, Soloway teased that the show will address Tambor’s exit with “one big answer,” as well as the decision to end the series with a movie musical. In November 2017, Tambor was accused of harassing two trans women on the “Transparent” set, including co-star Trace Lysette and Van Barnes, the actor’s personal assistant. A third woman unrelated to the production, makeup artist Tamara Delbridge, later came forward with her own accusation. Tambor was fired that following February and has denied the accusations. As TheWrap previously reported, Soloway had considered using Tambor in the season in a flashback-only role as his pre-transition character Mort Pfefferman, but that idea was nixed. The Los Angeles Times first reported the details of the musical series finale.